Stock product - detailed vector illustration - Isometric People Collection - Fly Tasks - created by Aurielaki. Image formats EPS AI JPG. SKU: Fly-Tasks-People-Isometric-AurielAki. Category: Isometric Service People. 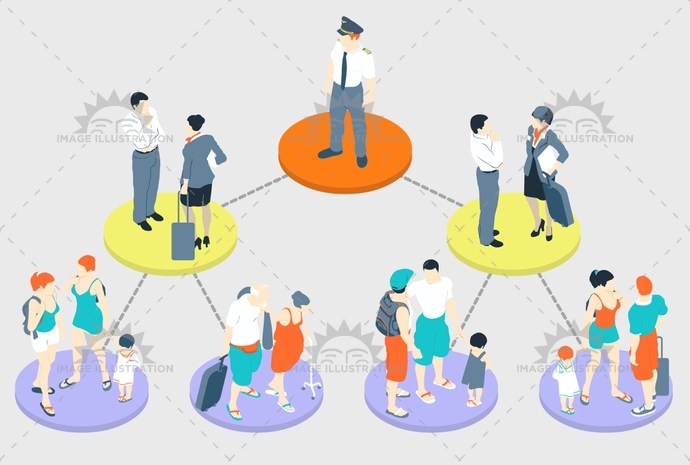 Tags: airport, attendant, captain, chart, family, fly, ground, hierarchy, holiday, hostess, illustration, infographic, instructions, isometric, journey, kids, luggage, man, old, parents, pastel, people, plane, rules, security, steward, stewardess, tasks, vector, woman.